Найден Петков /1918-1989/ – 100 години от рождението! Мартин, Катя и Яна Петкови. Роден 1947 г. в София. През 1966 г. завършва Художествената гимназия в София, а през 1974 г. – Висшия институт за изобразително изкуство „Николай Павлович” (сега Национална художествена академия), специалност „Декоративно-монументална скулптура”. Учи при проф. Величко Минеков, проф. Димитър Даскалов, проф. Крум Дамянов. От 1981 г. е преподавател в НХА по скулптура в специалност „Резба”. От 1986 г. е доцент, а от 1996 г. – професор по скулптура в НХА. Участва в създаването на знакови български монументални ансамбли като – мемориала „Бранители на Стара Загора /Самарското знаме/ – 1977г., заедно с акад. Крум Дамянов, арх. Богомил Давидов, арх. Благовест Вълков. In 1991 Atanas Atanassov graduated from the National Academy of Fine Arts in Sofia in the painting course of professor Svetlin Roussev. 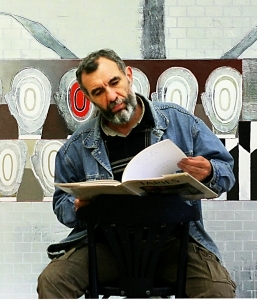 He has been a member of the Union of Bulgarian Artists since 1997. He specializes in the sphere of the art of painting, mural painting and illustration. From 2008 to 2011 he worked as a part-time lecturer at the Academy of Fine Arts. He has been working as assistant professor at the Academy of Fine Arts in Sofia since 2011. He is currently in the process of obtaining his PhD. 2009-2010 painting commissioned by the Ministry of Culture of Republic of Macedonia- a portrait of Russian Emperor Nicolas II, and Turkish Sultans Abdul Azis, and Abdul Medjid, for the Historical Museum in Scopje. 2011-2012- designs and does the murals on the dome of the newly built church in the village of Poroi. III award for painting from the International Miniature Competition – “Del Bello” Gallery – Toronto, Canada in 1990. Diploma fоr entire presentation from the Third Biennial of the Small Shapes; Pleven 2006. Award “Stanislav Dospevski” From The Stanislav Dospevski Gallery for the National Exhibition “Levski and Time” – 2007. Завършва специалност живопис в курса на проф. Светлин Русев в НХА, София през 1991 г. Член е на СБХ от 1997 г. Работи в областта на живописта, рисунката, стенописта и илюстрацията. Галерия „Арт – 36”, София; Галерия „Арена”, София; Галерия „Тракия”, Пловдив; Галерия „Буларт”, Варна; Музей Боянска църква; Галерия „Неси”, Бургас; Галерия „Трак Арт”, Пловдив; Празници на изкуствата „Аполония”, Созопол; Национални есенни изложби, Пловдив, Галерия София Прес; Галерия Парк, Пловдив; Галерия Пролет, Бургас; Галерия Грита, София; Галерия Средец на Министерство на културата; Бургаска художествена галерия. 2012-2013 Проектира и изпълнява иконите за иконостаса и стенопис на купола на новопостроената църквата в с. Бяла вода. 2014 . Изложба „Портрети“ в галерия „Средец“ на Министерството на културата (м.май) и в Бургаската Художествена Галерия „Петко Задгорски“ (м. юни). is one of the most notable illustrators of our days. His art is characterised by its brilliant technique, inspired by the Renaissance, the good schools of realism of the 19th century, from the pre-Rafaelites to the Succession. At the same time, his works are modern in their conception of design and point of view, in a game between light and dark. The characteristic play on perpective calls to mind the art of Escher. The list of books that he has illustrated include titles like Alice’s Adventures in Wonderland and Through the Looking Glass by Lewis Carroll, Pinocchio by Carlo Collodi, The Queen of Spades by Alexander Pushkin, Don Quixote by Cervantes, Oliver Twist by Charles Dickens; fairytales by the Brothers Grimm, Oscar Wilde and John Ruskin; myths like Arthur and Excalibur and Orpheus and Eurydice; stories about the lives of personalities like Socrates or Michelangelo; tarot cards and more. The most significant publishing houses in his career have been J.F. Schreiber, Esslingen; Grimm Press, Taipei; Aufbau-Verlag, Berlin; Simply Read Books, Vancouver; Walker Books, London; Vicens Vives, Barcelona. Born on 11 August 1951. In 1978 graduated from the National Academy of Art, where he majored in painting. His paintings have been owned by the National Art Gallery, the Sofia City Gallery and nearly every city gallery in the country. Peter Ludwig from Germany, Herwig Handwiger from Austria, Svetlin Roussev and Boyan Radev are among the owners of his paintings. Venezuela, Saudi Arabia, Kuwait, China and India among others. 2006 II Prize for a portrait at the 33rd World Festival of the Miniaturists in Florida, the USA. His work has been the only purchase for the Festival Museum. Since 1983 he has participated in joint art exhibitions. His first solo exhibition was organized by the Arte Gallery in 2008. In 2013, a second solo exhibition at Arte Gallery. 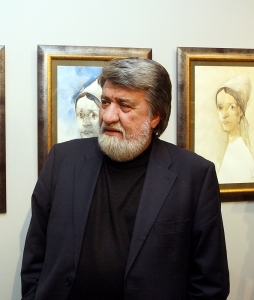 Some of his works are part of the contemporary art collections of the National Gallery, the collections in Plovdiv, Dobrich, Targovishte and Gabrovo. Collectors from the US, Russia, Germany, Switzerland and Greece also have pаintings of the Bulgarian. Born – October 16, 1926 in Velingrad, Bulgaria. In 1950 she graduated from the Art Academy, Sofia, where she studied painting under Prof. Ilia Petrov. Works in the field of painting and applied graphics (book design, postage stamps). Vejdi Rashidov was born in Dimitrovgrad, Bulgaria, on December 14, 1951. In 1970 he graduated from the School of Fine Arts in Sofia. 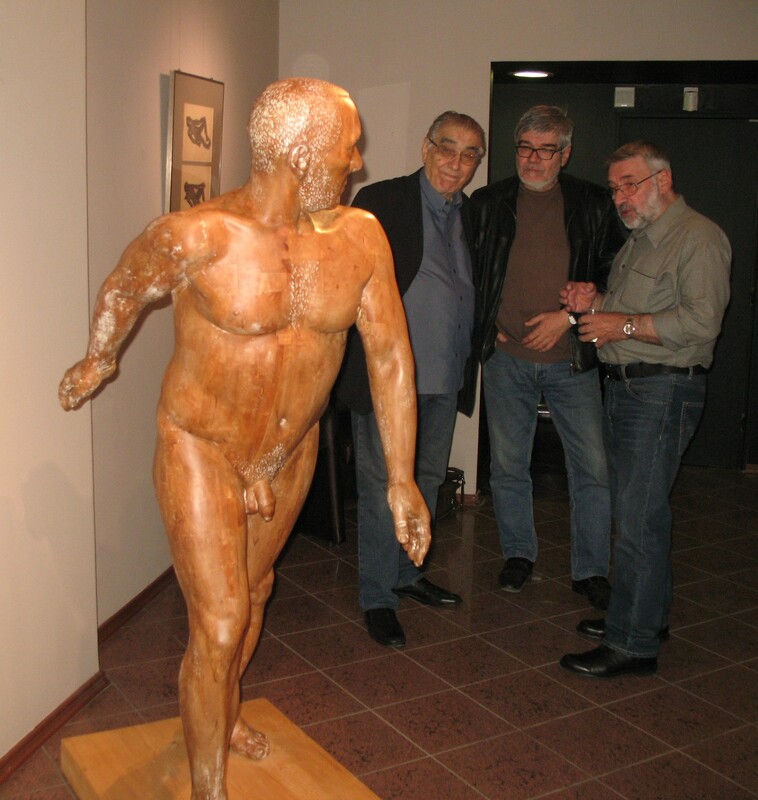 In 1978 graduates The National Art Academy in Sofia, in Sculpture Department, in the studio of Prof. Dimitar Daskalov. His creative appearances since the beginning of his art are strong and numerous. In 1985, he realezed a creative stay in Cité Internationales des Arts , Paris France. He participates in group, thematic and solo exhibitions in all major cities in the country, in most European countries and world cultural centers. 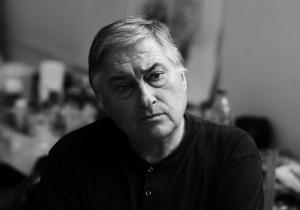 He has shown his works in more than 45 solo exhibitions in Bulgaria – Sofia, Plovdiv, Gabrovo, Stara Zagora, Dimitrovgrad, Varna, and abroad – Warsaw, Basel, Paris, Krakow, London, Delhi, Moscow, Yerevan, , Istanbul, Amsterdam, Tokyo, Yokohama, Ankara, Sapporo , Vienna, Izmir, Seoul, Berlin, Washington, Pretoria, Johannesburg, Belgrade, Deauville, Palma de Mallorca, Herder (Netherlands), Bonn, Dublin, Belgrade, Prague, Budapest, etc. 1945, 14 march – born in the city of Ruse, Bulgaria. 1966-1967 – doll builder at Ruse puppet theatre. She participates in all common art exhibitions in Bulgaria. Participates in representative exhibitions in Paris, Beijing, Budapest, Berlin, Bucharest, New York, Barcelona, Tokyo, Potsdam and others. Group exhibitions – Bulgaria, Delhi, Potsdam, Riga, Paris, New York and others. International exhibitions – Vichy, Cologne, Paris, Basel and others. 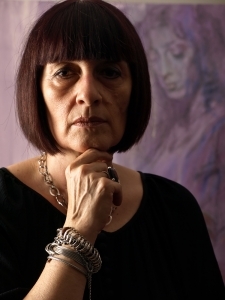 She has paintings owned by the National Art Gallery, the Sofia City Art Gallery, a number of municipal galleries, state institutions in the country and Bulgarian embassies abroad. She has received multiple prizes from Rousse Municipality for participation in exhibitions of the Rousse Artists’ Union – members of UBA. Her work is included in the big Bulgarian encyclopedia of Bulgarian art – Bulgarian academy of science. 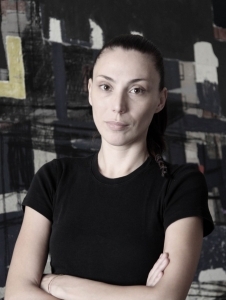 Her work is included in the album „Young Bulgarian Artists“ – UBA. Her work is included in the book „Contemporary Bulgarian Fine Arts“ – Bulgarian academy of science. Her work is included in the book „120 Years of Bulgarian Art“ – UBA. 1959 – graduated from the Art Academy, Sofia, where he studied painting under Prof. Dechko Ouzounov. From 1961 on he took part in all general art exhibitions in Bulgaria. He lived in Pleven until 1967 (he spent about a year in Rousse from 1961 to 1962). From 1967 on he lives and works in Sofia. 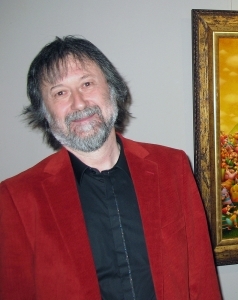 Svetlin Roussev has received numerous awards for his work. 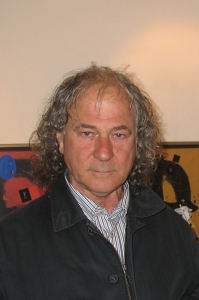 The main awards he was granted in Bulgaria are: Gold Medal and First Prize from the First Youth Exhibition, 1961; Dimitrov Award, 1968; Zahari Zograf Prize for Painting, 1973; The International Painting Trienale Prize, Sofia, 1974; The International Painting Trienale Prize, Sofia, 1974; Grand Prix of the Bulgarian Artists Union, 1986; Vladimir Dimitrov – The Master Award, 1987; Kiril Petrov Award, 1988. 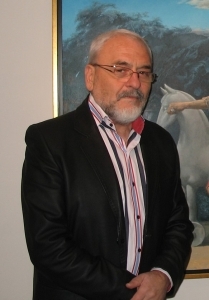 In 2001 Svetlin Roussev has been granted with the National Paisyi Hilendarski Price and in 2013 with the Marin Drinov Award from the Bulgarian Academy of Science. The main prizes he received abroad are: Diploma for Bulgarian representation at Cannes-sur-Merre, 1970; Peter and Irene Ludwig Award; Portrait Award, Radom, Poland; Gabriele Olivie Award, Monaco; Golden Laurel – Kuenstlerhaus, Vienna; Grand Prix of the Foundation Taylor in Paris and others. 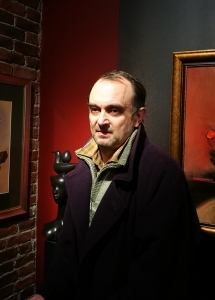 Mr Roussev is member of some of the world most prestigious artists associations, such as Salon d’Automne, Paris, the Russian Academy of Arts, Medici Academy, Nika-Kai Association, Tokyo, Royal Flemish Academy for Science and the Arts, Belgium. He is a correspondent-member of the Kuenstlerhaus in Vienna. Svetlin Roussev has been holding a professorship at the National Art Academy in Sofia from 1975 on. 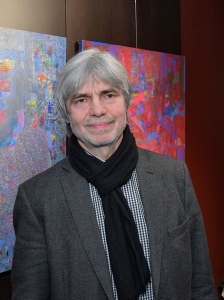 He was also the chairman of the Bulgarian Artists Union between 1973 and 1985 and director of the National Art Gallery in Sofia between 1985 and 1988. In 1984 he donated to his native town Pleven a large collection of objects of modern and classical Bulgarian art, Asian and African art and made it accessible to public by placing it at a permanent gallery. The artist took part in many group-exhibitions and representations of Bulgarian art in Paris, Moscow, Saint Petersburg, Budapest, Warsaw, Prague, Bucharest, Vienna, Belgrade, Ankara, Stockholm, Berlin, Munich, Essen, Hamburg, Mexico, Montreal and many other cities all over the world. He has hold many solo-exhibitions in Bulgarian cities such as Sofia, Bourgas, Pleven, Varna, Sliven, Rousse, Balchik and many others. Major cities of Europe and USA have been hosting his exhibitions either – Moscow, Paris, Mexico, Vienna, Warsaw, Bucharest, Hamburg, Miami, Ferrara, Orvieto and many others. Numerous galleries and museums in Europe and all over the world are owners of Mr Roussev’s works – the National Art Gallery, Sofia; Sofia City Art Gallery, such as many private collections – in Moscow (the Museum of Pushkin), the Major City museum of Sofia, museums in Paris, London, Stockholm, Prague, Munich, Dresden, Bonn, Berlin, Hamburg, Aachen (Ludwig Collection), Essen, Rome, Holland, Japan, Greece, Portugal, Sweden, Argentina, Cuba, Italy, Portugal, Warsaw, Athens, Frankfurt, Venezuela, L. A. Miami and Chicago, Brussels, Vienna (Ludwig Collection), Peking (Ludwig Collection), Budapest (Ludwig Collection), Art Center Hugo Voeten, Belgium, etc. Graduated from the Academy of Fine Arts in Warsaw, Poland, in 1973, awarded by the Polish Ministry of Culture. 1979 – „Mural painting“ in National Academy for Fine Art, Sofia. Professor in the National Academy for Fine Art, Sofia. Works in the field of painting, drawing, objects and installations. He has over 30 solo exhibitions in Bulgaria, Austria, Germany, Netherlands, Hungary, Rumania, Serbia, USA, France. Participated in group exhibitions and International sellections: Ludwig Museum, Aachen, Germany, 2008; Donumenta , Regensburg, Germany, 2005; Biennial of Contemporary art, Prague, 2005; Triennial, Nеw Delhi, India, 2005; Museum for contemporary art, Carakas, Venezuela, 2004; FAF London, 2002; Europalia, Brussels, 2002; Centre EFA for contemporary art, New York, 2001. Participation in art fairs: Art Zurich; Art Fair Stockholm, Art fest, Strasbourg; Lineart, Gent; Miart, Milan,; Art Junction, Canne; Art fest Basel. 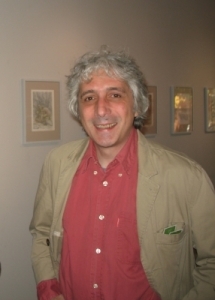 Winner of ten prize – National and International, among them „Zahari Zograf“, 2004 and the Grand Prix from the International triennial for paintings, Sofia, 1996. Acquisitions: National art gallery, Sofia; Sofia City gallery; National art gallery, Prague; Peter Ludwig Collection, Aachen, Germany; Art Dialog Foundation, Paris; Collection „Voeten“, Belgium; Collection „Svetlin Roussev“, Sofia and private collection in Austria, Belgium, Netherlands, Germany, USA, France, Switzerland, Italy, Canada, Greece. From 1998 – a member of the Union of the Artists from Yambol, participates in all exhibitions of the unions in Yambol, Sofia and Bourgas. Presently lives and works in Yambol. His paintings are owned by private collectors from Bulgaria, Germany, USA, France, England, Austria and Switzerland. Born – July 3, 1914 in Sofia. 1940 – graduated from the Art Academy, Sofia, where she studied painting under Prof. Dechko Ouzounov. Continued to specialize in Paris / 1941 / at the Academy of André Lot. 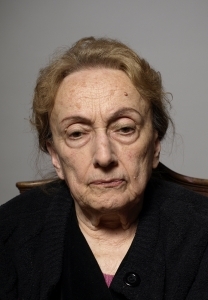 After her return to Bulgaria in 1941, followed by numerous exhibitions in Sofia and abroad – Hamburg / 1960 /, Japan (1965), Austria – Wittgenstein, Paris (1978), Sofia / Shipka 6 – 1983, 1989, 1997, 2010 / In 1994, organized an independent exhibition at „SITE DES ARTES INTERNATIONALES“ – Paris. From 1954 to 1969 she is an art editor at Narodna Prosveta publishing house. She was awarded the „Kiril and Metodi“ I Prize, as well as the „Golden Age“ for contribution to the development of Bulgarian culture. Awarded by the „European Forum“ Foundation, the UBF Complete Creative Award, the First Prize by the World Haku Association, Japan, a Prize for Contribution to the Development of Bulgarian Culture. Dies in 2012 in Sofia. class of Prof. Svetlin Roussev. The works of Nikolay Yanakiev are in possession of: The Uffizi Gallery in Florence, Italy; The Mimara Muzeum in Zagreb, Croatia; The National Gallery of Fine Arts in La Valleta, Malta; The UNESCO Collection, Burgenland, Austria; The Ludwig Collection in Cologne, Germany; the National Gallery of Fine Arts in Sofia, Bulgaria; The City Gallery of Sofia, Bulgaria. 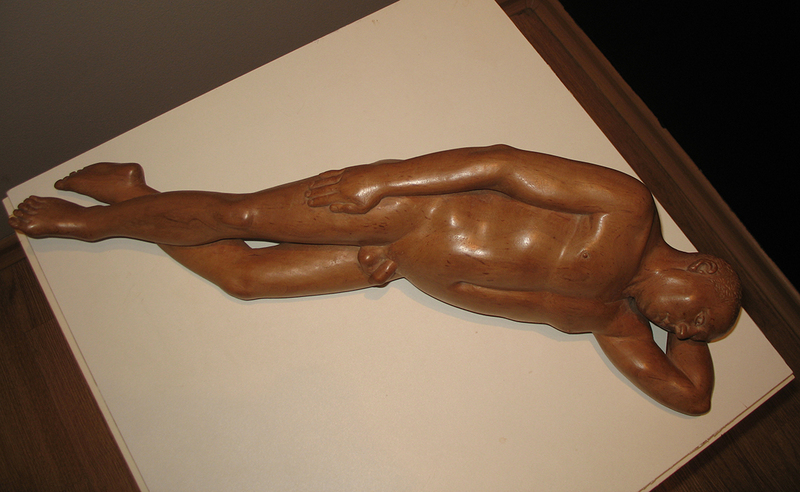 Private collections: Claude Litz, Paris, France; Prof.Dr. Nick Titz, Neusiedl am See, Austria; Jürgen Hoyer, Berlin, Germany; Egidius Braun, Germany; Bronda, Finland and some others in France, Germany, Belgium, Italy, Russia, Greece, Great Britain, USA, Canada, Australia, Japan, Austria, Spain. 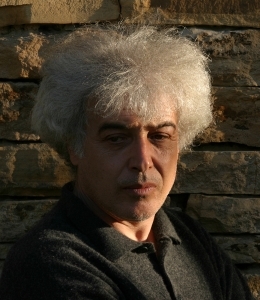 1959 – Born in Maslarevo, Bulgaria. 1983 – Graduated at “St. Cyril and St. Methodius” University of Velilo Tarnovo (Bulgaria), Faculty of Arts, Department of Painting. 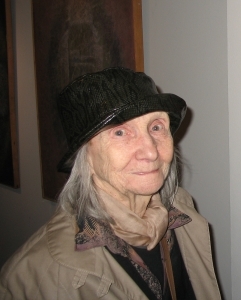 1993 – “Icones et Realisme Magique Bulgare” exhibition – Le Salons de la Rose-Croix A.M.O.R.C. – Paris, France, where he sent in twenty-six canvas. 1993 – Since 1993 he has been constantly presented in “Naifs du Monde Entier” Art Gallery – Paris, France. 1999 – The award for second best painting at an international competition “Prix Suisse et prix d’Europe” at “Pro Arte Kasper” Art Gallery – Morges, Switzerland. 1999 – “The Fool’s Ship” exhibition – “Centre Europeen de l’art fantastique” – Gruyere castle, Switzerland. 1999 – “Arte Europa” – Reggio Emilia, Italy. 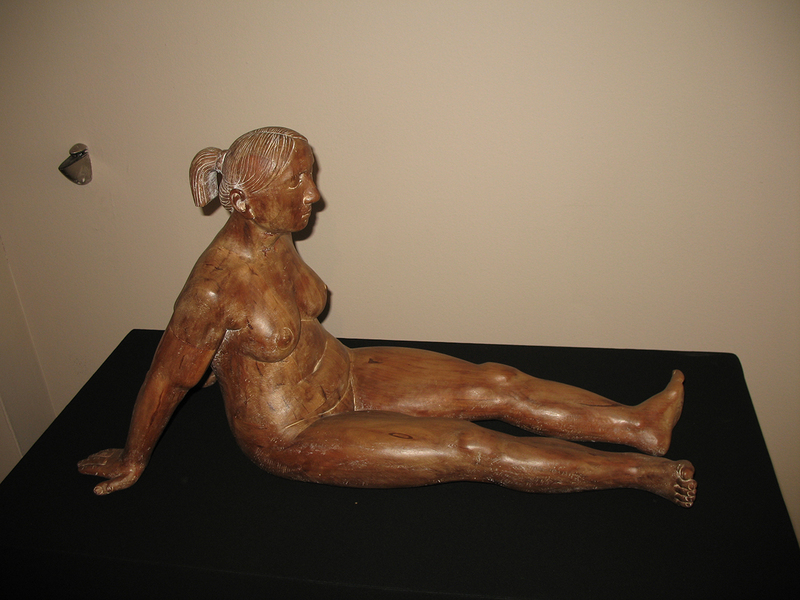 2000 – “Woman’s 100 Metamorphoses” exhibition – “Centre Europeen de l’art fantastique” – Gruyere castle, Switzerland. 2000 – “Arte Europa” – Reggio Emilia, Italy. 2000 – An order and completion of a painting-triptych “By the White Castle”, made for the Gruyère Castle Collection. 2001 – Grand Prix at 30th anniversary international competition “Prix Suisse et Prix d’Europe” at “Pro Arte Kasper” Art Gallery – Morges, Switzerland. All competitors are award-winners. 2004 – The award of the audience of “Pro Arte Kasper” Art Gallery – Morges, Switzerland. 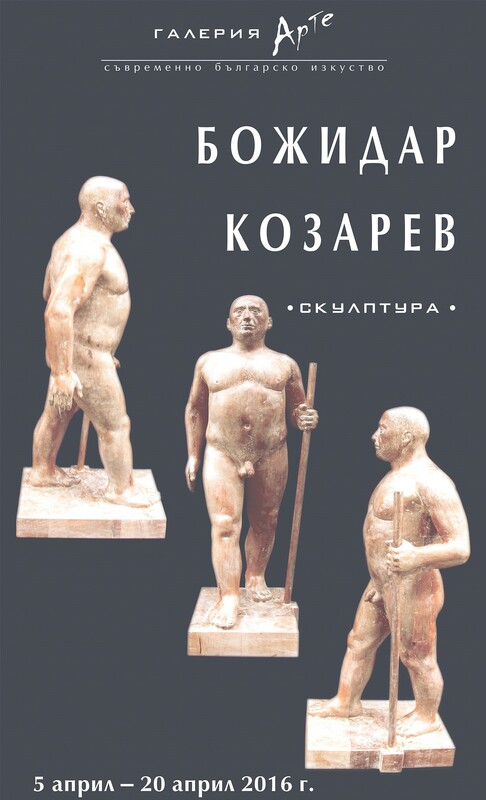 2009 – The award of the Ministry of Culture of the Republic of Bulgaria in the category “Paintings” of 19th International Biennial of humour and satire in the arts – Gabrovo, Bulgaria. 2009 – Special award at 25th International Biennial of Art Humour – Tolentino, Italy. .
2010 – „Аrt Messe Innsbruck” – Innsbruck, Аustria. 2011 – 20 th International Biennial of Humour and satire in the arts – Gabrovo, Bulgaria. 2011 –“ Salon d’Automne 2011”– Wadenoijen, Holland. 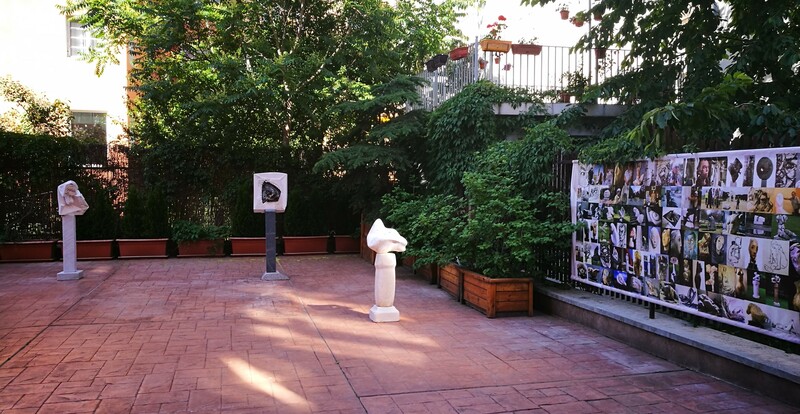 2015 – 22 th International Biennial of Humour and satire in the arts – Gabrovo, Bulgaria. 2015 – “Lisbon International Naif Art Exhibition” , 7th Edition – “Allarts” Art Gallery – Lisbon, Portugal. 2016 –„ARTANKARA”, 2nd Contemporary Art Fair – Ankara, Turkey. 2017 – “7eme Salon d’Art Naif a Versailles” of „Grupe International des Primitifs Modernes dits “Naifs” – Versailles, France. 2017 – „ARTANKARA”, 3rd Contemporary Art Fair – Ankara, Turkey. 2017 – “Regard Naif Europeen” – international exhibition of “Jacqueline Bricard”Art Gallery – Lourmarin, France. 2018 – “10-eme Biennale d’Art Naif d’Andresy” – Andresy, France. 2018 – “Arte Naif Europeo” – “Eboli”Art Gallery – Madrid, Spain. 2000 – “Edition 88” Art Gallery – Luxembourg. 2001 – “Vazrazhdane” Art Gallery – Plovdiv, Bulgaria. 2001 – “Spectrum” Art Gallerty– Veliko Tarnovo, Bulgaria. 2001 – “Pro Arte Kasper” Art Gallery – Morges, Switzerland. 2003 – “Edition 88” Art Gallery – Luxembourg. 2005 – “Edition 88” Art Gallery – Luxembourg. 2005 – “Pro Arte Kasper” Art Gallery – Morges, Switzerland. 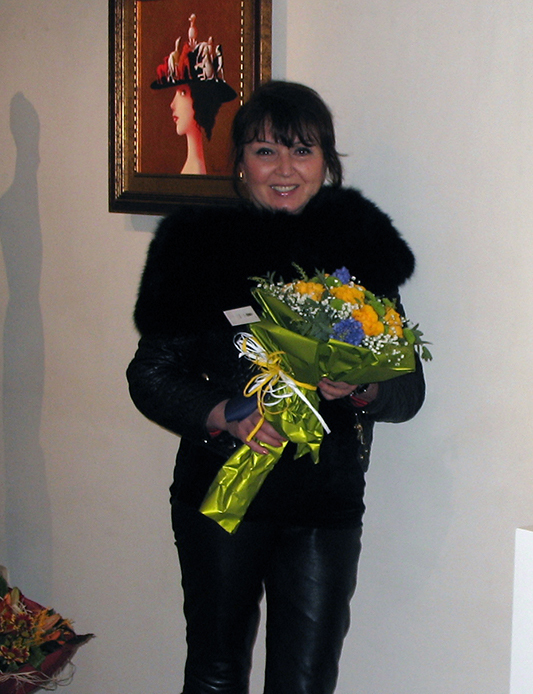 2006 – “Top Art” Gallery – Veliko Tarnovo, Bulgaria. 2007 – “Vazrazhdane” Art Gallery – Plovdiv, Bulgaria. 2008 – “Edition 88” Art Gallery – Luxembourg. 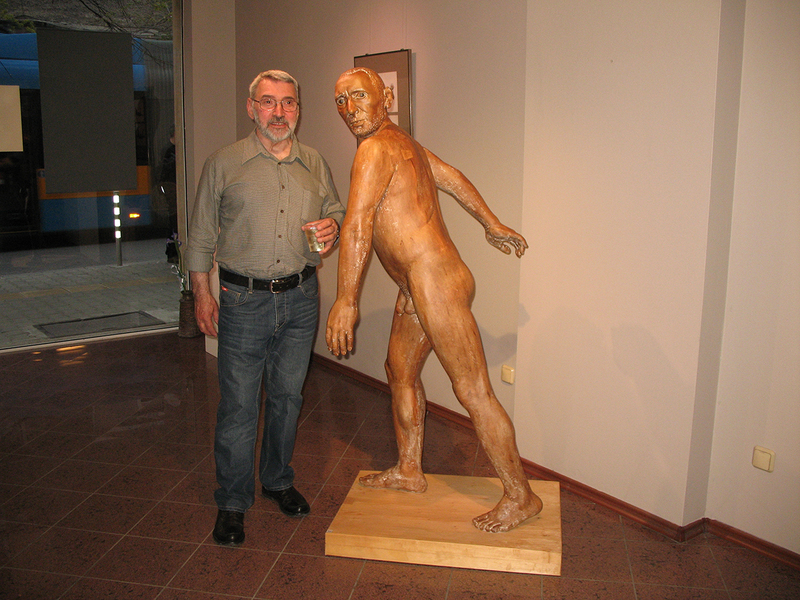 2009 – “Adamo” Art Gallery – New York, U.S.A.
2009 – “Vazrazhdane” Art Gallery – Plovdiv, Bulgaria. 2010 – “Le Papillon” Art Gallery – Varna, Bulgaria. 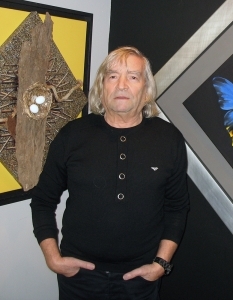 2011 – “Edition 88” Art Gallery – Luxembourg. 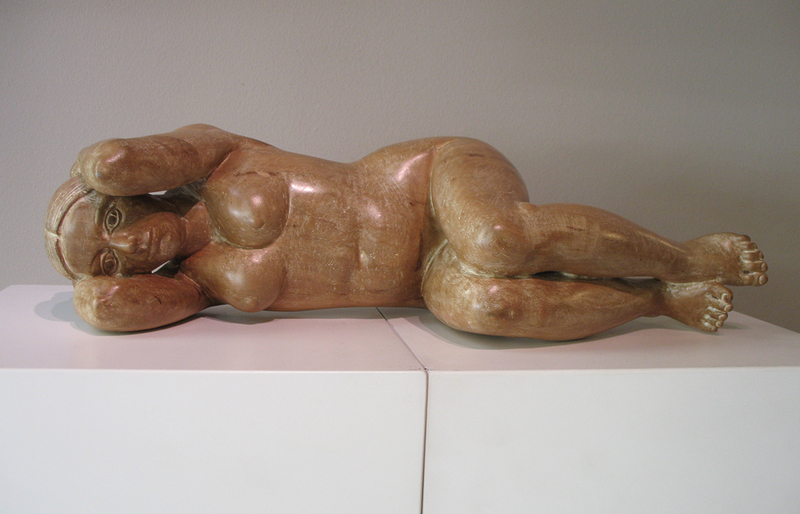 2012 – “Josephine” Art Gallery – Naarden-Vesting, Holland. 2013 – “IAM Interartmania” Art Gallery – Lausanne, Switzerland. 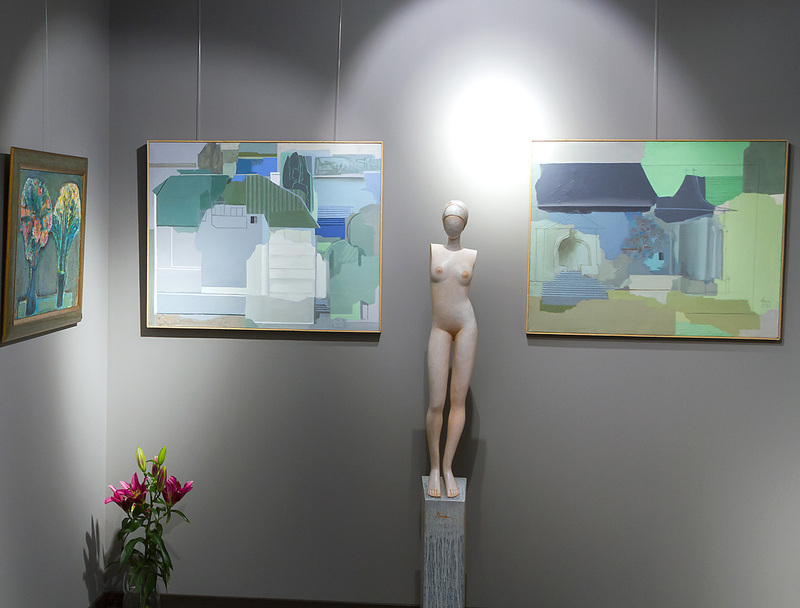 2015 – “ LePapillon” Art Gallery – Varna, Bulgaria. 2017 – “Arte” Art Gallery – Sofia, Bulgaria. Mihalis Garudis was born in1940 in the town of Didymóteicho, Greece. He studied painting in Prof. Iliya Petrov’s class at the Academy of Arts, Sofia, graduating in 1965. He has lived and worked in Thessaloniki, Greece since 1986. He works in the fields of monumental arts, painting, collage. 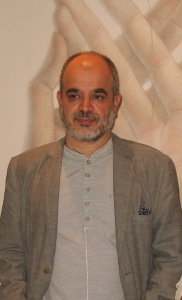 His works are the ownership of a number of museums and private collectors in Bulgaria and abroad. Born 1978 in Sofia, Bulgaria. Lives and works in Sofia. 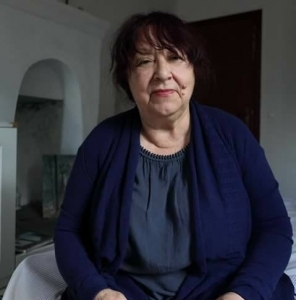 Works by Margarita Pueva are exhibited in the National Gallery in Sofia,the “Pushkin Museum “ in Moscow,the Fine Arts Gallery in Dresden as well as in Artmuseums in – Sofia,Plovdiv,Pleven,Stara Zagora,Gabrovo Silistra,Smolian,Kardjali,Pernik,Blagoevgrad,Dobrich,Varna,Shumen,Razgrad,V.Tarnovo,Kustendil-Bulgaria and privat collections in Belgium,Germany,China,Franse,UK,Hong Kong,Italy,Israel,Japan,Kuwait,the Netherlands,Russia,Hungary,USA,the Vatican and Venezuela. 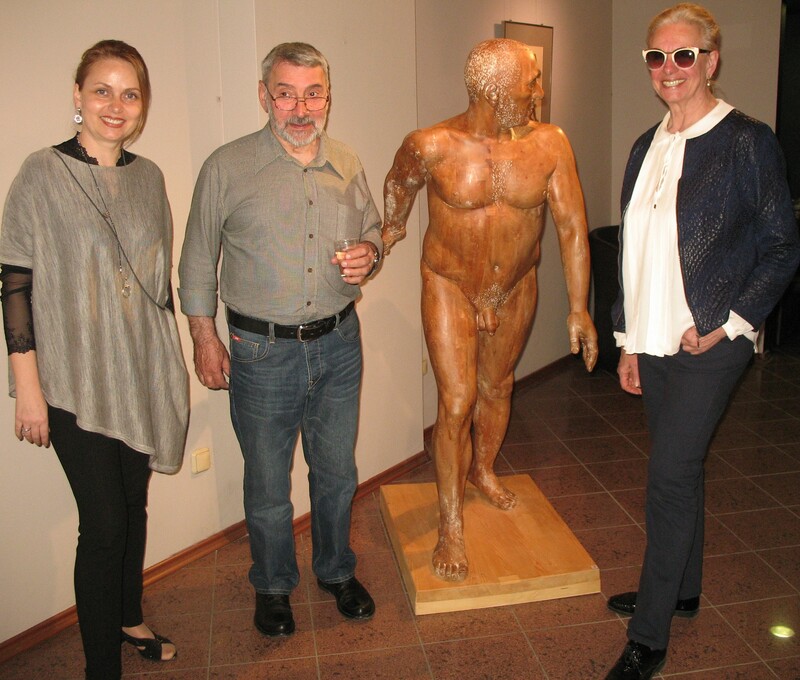 After 1999,the sculptress work and live in Dusseldorf,Germany. From 2008 year work and live in Holland,Hague. Dies in 2016 in Dusseldorf. 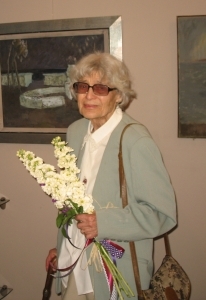 Lilyana Russeva is bulgarian painter, born on April 6, 1932 in Rousse and died on May 31, 2009. She graduated in Illustration Department at the National Academy of Arts in the studio of Professor Iliya Beshkov (1959). Since 1983 she has been a professor at the Academy. Member of the Union of Bulgarian Artists. Liliana Ruseva worked in the field of figural composition, portrait, landscape. She has participated in a number of exhibitions in Bulgaria and abroad. 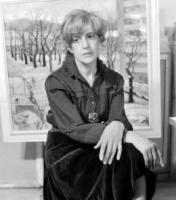 Her works are owned by the National Art Gallery, the Sofia City Art Gallery and the municipal galleries in the country. In 1979, she was awarded the title “Honored Artist” and in 1982 Lilyana Ruseva received the Prize St. Saints Cyril and Methodius – I degree. Krum Damianov was born on 3 August 1937 in Rakitovo (Bulgaria). In 1962 he graduated in Sculpture at National Academy of Art, Sofia, in the studio of Prof. Lyubomir Dalchev. In the period 1969 – 1994 he teaches Drawing and Modeling in the University for Architecrture, Construction and Geodesy, Sofia, where he becomes a professor. After 1994 he teaches Sculpture at the National Academy of Art, Sofia. One of the main themes in his works is the heroism and suffering of Bulgaria. There is no plastic material not used by the great master in his creative practice. Stone and metal, wood and clay, even leather, this is the material world in which its unique images are born. The monumental sculpture, to which Professor Damjanov has a proven weakness, has for decades built his creative character. The author’s name is related to a number of valuable monuments and memorial ensembles in Bulgaria – “The Creators of the Bulgarian State” in Shumen, the monuments of Asenevtsi in Veliko Tarnovo, “Kambanite” in Sofia, “The Flag” (Stara Zagora) The “passage” in the creative base for ceramics in Cherven Bryag. Besides monumental sculpture, Damianov works in the field of the sculpture of the cavalry. Over the years, he has been collaborating with arch. Ivan Kasarov, Arch. 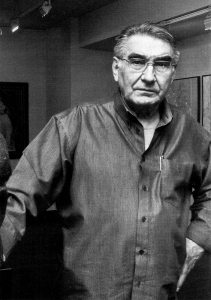 Bogdan Tomalevski, Arch. Lozan Lozanov, Valentin Starchev and Ivan Neshev, as well as personalities such as Ivan Slavov and Bozhidar Kozarov, arch. Bogomil Davidkov and arch. Blagovest Valkov. Krum Damianov is well known outside of our country and many of his best works are present in galleries and private collections in the Netherlands, Germany, Belgium, Austria, USA, South Korea. He attended the OCHI at the Paris Biennial Youth Biennial. He has numerous solo exhibitions in Paris, Miami, Sofia, Brussels. She has participated in sculpture symposia in Austria, Poland, Germany and the Arts Olympiad, Seoul, South Korea and other countries around the world. Winner of the highest alliances and state awards – the Ivan Lazarov Prize for Monumental Sculpture for 1965 and 1982. 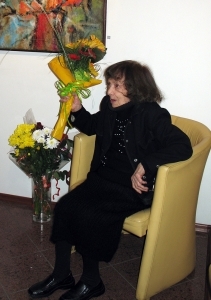 In 2009, Receives the Paisii Hilendarski State Prize for remarkable contribution and achievements in modern Bulgarian art. 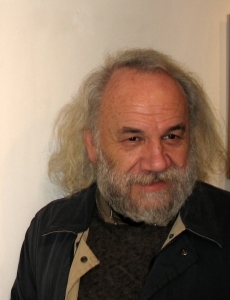 Laureate of Bulgarian Dimitrov Prize. Born in Obretenik, Bulgaria on October 18th 1957. In 1970 he graduated from School of Arts in Ruse, Bulgaria. Since 1990 Kantcho Kanev lives and works in The Hague, Netherlands. nicipality, Rotterdam, Utrecht, Arnhem, Netherlands.. Participation in group exhibitions: London, Vienna, Moscow, Paris, Warsaw, Tokyo, Brussels, Mexico City, Berlin, Bucharest, Rome, Cologne, Ankara, Aachen. The National Art Gallery, the Sofia City Gallery, most art galleries in the country and private galleries in Bulgaria and abroad, including the collections of Prof. Dr. Peter Ludwig / Germany /, Mr. Hugo Vouten / Belgium /, by Academician Svetlin Roussev Sofia and Pleven / and others. Ivan Andonov was born on 3 May 1934 in Plovdiv, Bulgaria. From school years to the end of his life, he is actively engaged in painting. He has 30 self-exhibitions in Bulgaria and other countries and he also take parts in many general national exhibitions. His canvases are owned by the Bulgarian National Art Gallery, the Sofia City Gallery, other city galleries and private collections in Bulgaria, Italy, Germany, England, Norway, USA, Greece, Turkey, France, Switzerland, Mexico, Israel, Malta and others. He made scenography and costumes in theater and cinema for which he has national awards. He graduated from Theater Academy in Sofia, department of acting in 1956. Ivan Andonov has more than 40 major roles in theater and cinema. As a director and artist he has created 12 animated movies, and as a feature film director he has made 20 feature films. Most of his animated and feature films have won prestigious international awards. Some of his feature films are favorites of Bulgarian viewers. 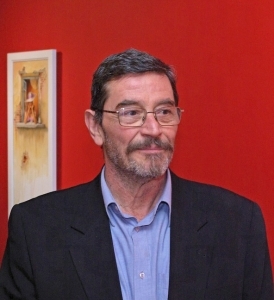 Born in 1950 in Sofia. 1979 – graduated from the Art Academy, Sofia, where he studied painting under Prof. Panayotov. He works in the field of scenography, fresco and applied graphics. He has been a freelance artist for 25 years and has only been painting. He has held more than fifty solo exhibitions in the country and abroad. Galleries presenting Hristo Yotov: „Koreis“ – Athens; „Artium“ and „Nurol“ – Ankara, Istanbul; Anicis – Baden, Switzerland; Mrs. Sophie – Zurich, Switzerland; Bulgarian Cultural Center in Vienna and Bratislava; „Multitret“ – Graz, Austria; Masons – Houston, USA and others. Some works of Hristo Yotov – Yotó are in collections at the National Art Gallery, the Municipal Gallery of Plovdiv, Shumen, Dobrich, Rousse, Pazardzhik, the city galleries and private collections in Canada, USA, Europe, South America. Private Collections In Bulgaria, USA, Norway, Switzerland, Argentina, France, Germany, Poland, Mexico, Italy, Canada, Sweden, Japan, The Netherlands. Emil Stoichev is a Bulgarian painter, born on 26.06.1935 in Sofia. He lives in Paris since 1991. 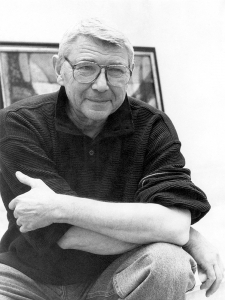 He worked as a theater painter in Sofia (1954 – 1959). He participates in all the official representative exhibitions in Bulgaria, as well as in exhibitions of Bulgarian art abroad. He participated in: Biennale of painting in Cannes sur Mer, France (1978, 1981), International Art Fair in Basel (1978, 1988), New York International Art Fair (1980), Paris Autumn Salon 1979, 1987). He had solo exhibitions in: Sofia (1965,1966,1971,1975,1976,1985,1995), Plovdiv (1973,1977), Varna (1977), Sliven (1983), Dobrich (1989), as well as in Berlin 1972,1973), Warsaw (1977), Madrid (1979), Prague (1981), Paris (1984,1992,1993,1994), Limassol (1986), United States (1988), Belgium 1989, Luxembourg and Austria 1990). In last years he works regulary with the Cavallet Gallery in Varna. 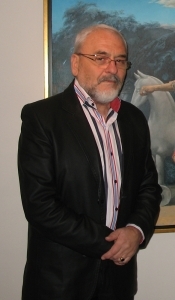 His works are owned by: National Art Gallery, Sofia Art Gallery, Blagoevgrad, Varna, Ruse, Sliven, Dobrich, Burgas, as well as national galleries in Bucharest, Prague and private collections in Europe, America and Japan. 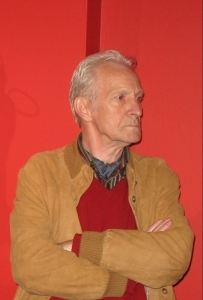 Prizes: Sofia Prize (1967), Vladimir Dimitrov – Master Award (1979, 1985), Biennial Prize in Cannes Sur Mer (1981), Grand Prix of VI Biennial in Szczecin, Poland . Council in Rodoma, Poland (1987). He is the only author who presents Eastern Europe in the catalog of Auction House “Drouot”. His creative biography previously began somewhere in the 1960s when after his first exhibition was shot down. Bogomil Rainov buys almost the entire exposition. Next years Emil Stoychev intervened in the artistic life of Paris. His periodical exhibitions in various galleries make him increasingly talking about him. In the early 1990s, Jacques Chirac, then the mayor of Paris, invited him to make an exhibition at Bagatello Palace and found it personally. So far Emil Stoychev is the only Eastern European author who has the honor to show his art there. Born: 1951 in Kjustendil, Bulgaria. 1975 – Sculpture in National Art Academy, Sofia. 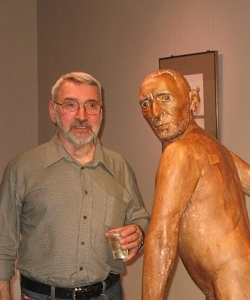 Since 1992 – Professor in Sculpture. Works in the village Dren, near Sofia. 2005 – Gallery Impressia, Plovdiv, Bulgaria; Gallery 8, Varna, Bulgaria. 1988 – Participation in Art Olympiad in Seoul, Korea with two granite figures in the Olympic Park. A composition in front of the National Stadium. 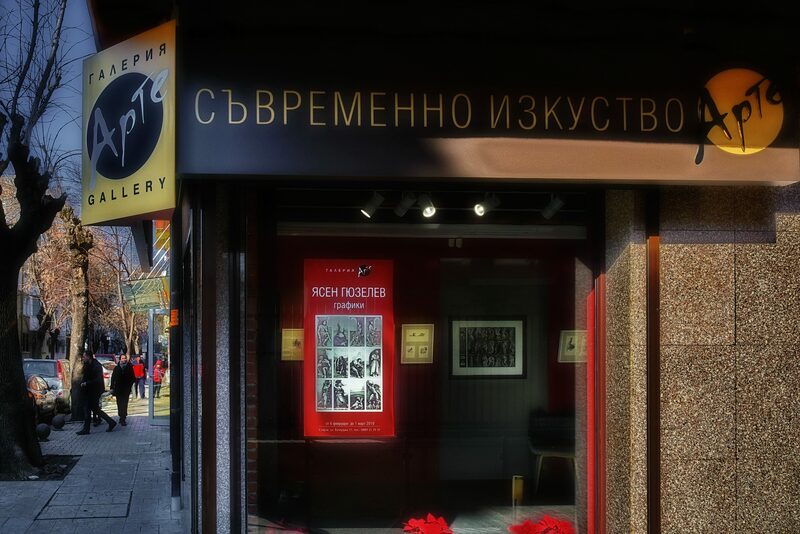 Half-length portraits of famous Bulgarian artists in Sofia, Pleven, Montana and Plovdiv, Bulgaria. Bronze composition in the National Palace of Culture – Sofia in co-authorship with Angel Stanev. 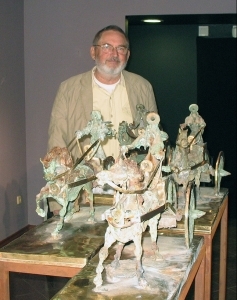 Bronze composition in Silistra, Bulgaria in co-authorship with Georgi Tchapkanov. National Art Gallery – Bulgaria, Sofia City Gallery, Pushkin Museum – Moscow, National Museums in Warsaw and Prague, Dante Museum – Ravenna, Most Museum – Norway, The Collection of Peter Ludvig – Aachen, Germany, The Collection of Hugo Voeten – Belgium. In 1953 she graduated from the Art Academy, Sofia, where she studied painting under Prof. Panayot Panayotov. Participated in regional exhibitions and exhibitions abroad – Moscow, Bucharest, Prague, Ankara, Istanbul. She has made dozens of solo exhibitions. Her works are at the National Art Gallery, regional galleries and private collections. She lives and works in Sofia. NCG – Sofia; SGHG; Art Gallery – Veliko Tarnovo; Art Gallery – Sliven; Art Gallery – Ruse; Hugo Vouten Collection – Belgium; Xan-Tinne Gallery Belgium; Collection „Dr. Becaria“ Barcelona, Spain; Wiesbaden Town Museum – Germany. 1961- He finishes high school in Haskovo. 1963-1969- Atanas Sharenkov graduates the Akademy of the Fine Arts in St. Petersbourg, Russia-the Fine arts department. 1965-1969- At the Hermitage in St. Petersbourg he studies conservation and restauration of Fine Arts and Mural painting, works under the guidance and the instructions of C. F .Konenkov. He is the first Bulgarian artist given a diploma in the Restauration of Fine Arts in Russia. 1969-1973- Sharenkov works as a restauration artist at the Central Historical and Archeological museum to the Bulgarian Patriarchie. He restores an important number of icons and paintings in Bulgaria, i.e. in many churches, monasteries and museums.He visits four times the Mount of Aton where he restores icons from the Zograph monstery. 1973 – He is an assistant professor at the Fine Arts Academie in Sofia. Lectures on technology and techniques of Fine arts paintings and Mural arts. 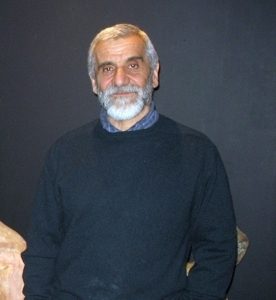 1976 – He is member of the Union of Bulgarian Artists-Fine arts section. In his lifetime he has participated in more than 70 exhibitions in Bulgaria and abroad. 1983 – Defends a Doktor’s P.H. Degree candidate of Sience of Art. 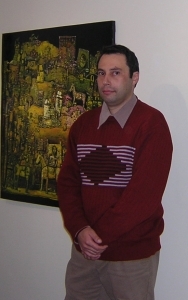 His work is on “Technology and Techniques of the Bulgarien Renaissance icons of the 20-th century“. 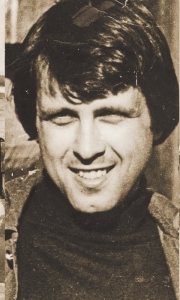 1986 – His first own exhibition in Haskovo. 1980-1991-He lectures and conduct practical exercises on the tehnology and techniques on ancient Bulgarian icons at the Cultural Centre of the town of Geras-Austria. 1991 – Atanas Sharenkov was awarded a Doctor’s P.H.Degree. 1992 – He organises his own exhibition of paintings at Bayerische Bank Head office in Munich, Germany. 1974-1992 – He takes part in a number of scientific conferences on the problems of conservation of Bulgarian art works.Paralel to his scientific interests he creates lots of beautiful paintings and many Bulgarian and foreign galleries possess works of his. Sharenkov works on archaique translations tractats of fine arts and becomes author of the great book “The ancient Tractacts on Technology and Techniques on Fine arts“-it represents two volumes and four books. That amaizing work covers the period of 1.to 19 a.d.century. 1992- On the 26-th of July he passed away. Родена на 6 април 1932 година в Русе. От 1983 година е преподавател в Академията. Член е на Съюза на българските художници. Умира на 31 май 2009г. Роден през 1950 г. в София. Завършва живопис в НХА през 1979 г. при проф. Панайотов. Работи в областта на сценографията, стенописа и приложната графика. От 25 години е на свободна практика и се занимава единствено с живопис. Има повече от петдесет самостоятелни изложби в страната и чужбина. Галерии представящи Христо Йотов: „Корерис” – Атина; ”Артиум” и „Нурол” – Анкара, Истанбул; „Аниксис” – Баден, Швейцария; г-я „Софи” – Цюрих, Швейцария; Български културен център във Виена и Братислава; „Мултитрейт” – гр. Грац, Австрия; „Мейсънс” – Хюстън, САЩ и други. Произведения на Христо Йотов – Йотó са в колекции в НХГ, СХГ, общинските галерии на Пловдив, Шумен, Добрич, Русе, Пазарджик градските галерии в страната и в частни колекции в Канада, САЩ, Европа, Южна Америка. Завършва графика в Академия за изящни изкуства във Варшава, Полша през 1973 с награда на Министерството на културата на Полша. Роден на 9.05.1953 г., София, България. Завършил Национална Художествена Академия, София, специалност ,,Стенопис”, 1979г., при проф. Димо Заимов. Има 12 национални и международни награди, между които: Орден „Кирил и Методий“ – І-ва степен, 2016г. ; Национална награда за живопис ,,Владимир Димитров – Майстора“, 2015г. ; Национална награда за живопис ,,Захари Зограф”, 2004г. ; Голямата награда на Международното триенале за живопис, София, 1996г. ; Първа награда на Международен младежки конкурс за живопис, София, 1984г..
Негови произведения са собственост на: Национална галерия, София; СГХГ; Национална галерия, Прага; Европейски парламент, Брюксел; Колекция ,,Петер Лудвиг”, Аахен, Германия; Фондация ART Dialogue, Париж; Колекция ,,Вутен”, Белгия; Колекция ,,Св.Русев“; частни колекции в България, Австрия, Белгия, Холандия, Германия, САЩ, Франция, Швейцария, Италия, Канада, Гърция. През 1953 завършва Живопис във ВИИИ „Николай Павлович“ /НХА/, София, при проф. Панайот Панайотов. Участва в ОХИ, окръжни изложби и изложби в чужбина – Москва, Букурещ, Прага, Анкара, Истанбул. Нейни творби се намират в НХГ, окръжни галерии и частни колекции. От 1983 г. участва в общи художествени изложби. Първата му самостоятелна изложба е организирана от галерия „Арте” през 2008 г.
През 2013 г – втора самостоятелна изложба в галерия „Арте“. Негови творби са част от колекциите съвременно българско изкуство на Националната галерия, на сбирките в Пловдив, Добрич, Търговище, Габрово. Колекционери от Сащ, Русия, Германия, Швейцария и Гърция също притежават картини на българина. Въпреки това мястото на Морзоханов в българската култура е доста своеобразно и все още недостатъчно оценено. Освен великолепен майстор на четката и молива Владо е съставител, преводач и илюстратор на луксозните двуезични томове с поезия – „Самосъзнаваща душа“ на Арсений Тарковски и „Небехранилище“ на Осип Манделщам. Николай Янакиев живее и работи в София. Произведенията на Николай Янакиев притежават: Национална художествена галерия, СГХГ, София, България Галерия “Уфици”, Флоренция, Италия; Музей „Мимара“, Загреб, Хърватска; Национална галерия за изящни изкуства в Ла Валета, Малта; Колекция на ЮНЕСКО, Бургенланд, Австрия; Колекция “Лудвиг”, Кьолн, Германия; Художествени галерии в България. Частни колекции: Клод Литц, Париж, Франция; Проф. д-р Ник Тиц, Нойзидл Ам Зее, Австрия; Юрген Хойер, Берлин, Германия; Егидиус Браун, Германия; Бронда, Финландия, както и много други във Франция, Германия, Белгия, Италия, Русия, Гърция, Великобритания, САЩ, Канада, Австралия, Япония, Австрия и Испания. 1959 – Роден в България. Живее и работи във Велико Търново. факултет по изобразителни изкуства,специалност живопис. 1993 – Колективна изложба “Иконата и българския магически реализъм”- Париж (Франция) , Културен център A.M.O.R.C (Древен и съвременен орден на Кръста на розата) , представен с 26 платна. 1993 – От тази година е постоянно представен в галерия „Naifs du Мonde Еntier” – Paris , Франция. 1999 – Втора награда в 28-ми международен конкурс ”Prix Suisse et prix d`Europe” на галерия ”Pro arte Kasper” – Мorges , Швейцария. 1999 -Участие в изложба “Корабът на глупците”- “Centre europeen de l’art fantastique”, Chateau de Gruyeres , Швейцария. 2000-Участие в международна изложба “Сто метаморфози : Жената”- “Centre Europeen de l’ art fantastique” , Chateau de Gruyeres , Швейцария . 2000-Поръчка и изпълнение на картина- триптих за колекцията на “Centre Europeen de l’ art fantastique” , Chateau de Gruyeres , Швейцария . 2001-Участие в “Arte Europa”- Reggio Emilia – Италия. (Immagina ./ Mostra Mercato di Arte Contemporanea). 2001-Grand Prix в 30-ти , юбилеен международен конкурс “Prix Suisse et Prix d`Europe” на галерия “Pro Arte Kasper”-Мorges (Швейцария). Всички участници са лауреати. 2002-Международна изложба “Послания”- Галерия “Pro Arte Kasper”-Мorges , Швейцария. 2004-Награда на публиката на 34-ти международен конкурс ”Prix Suisse et Prix d’Europe”- Галерия “Pro Arte Kasper”- Морж , Швейцария. 2008 – Участие в представителна обща изложба на галерия “Edition88”- Люксембург. 2009 – Награда на Министерство на Културата на Република България за раздел (категория) живопис на 19-то Международно биенале на хумора и сатирата в изкуствата – Габрово. 2009-Специална награда на 25-то Международно биенале на хумора в изкуството (Premio Internazionale “Citta di Tolentino” 2009 , Menzione speciale per il significativo livello artistico ed umoristico) – Тolentino (Италия.). 2010-Участие в „Аrt Messe Innsbruck”- Innsbruck(Австрия). 2011-Участие в 20-то Международно биенале на хумора и сатирата в изкуствата – Габрово. 2011-Участие в „Есенен салон 2011” – Wadenoijen (Холандия). 2013-Участие в „Есенен салон 2013” – Wadenoijen (Холандия). 2014-Участие в „Есенен салон 2014” – Wadenoijen (Холандия). 2015-Участие в 22-то Международно биенале на хумора и сатирата в изкуствата – Габрово. 2015-Участие в “Lisbon International Naif Art Exhibition”, 7th Edition – „Allarts” gallery – Лисабон (Португалия). 2017-Участие в “7eme Salon d’Art Naif a Versailles” на „Grupe International des Primitifs Modernes dits “Naifs” – Versailles (Франция). 2005-Галерия “Pro Arte Kasper”- Морж(Мorges),Швейцария..
2006-Галерия “Топ Арт”- Велико Търново. 2008-Галерия “Edition 88”- Люксембург . 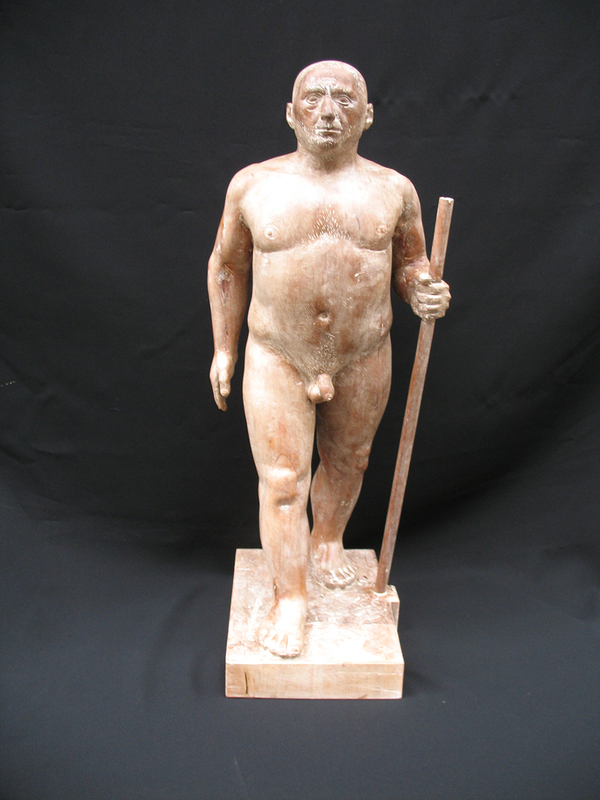 2009-Галерия “Adamo”- Ню Йорк, САЩ. 2013-Галерия „IAM Interartmania” – Лозана (Швейцария). 2017 – Галерия Арте – София. 1970 – Диплом за национално участие в Кан-сюр-мер. От 1985 до 1988 – Директор на Националната художествена галерия. През 1984 подарява на родния си град Плевен голяма колекция от съвременно и класическо българско изкуство, източно и африканско изкуство, която е открита като постоянна галерия. Открива постоянна музейна сбирка в ателието си на ул. „Врабча“ № 18 като галерия със свободен достъп през 2005. Участва в представителни и групови изложби на българското изкуство в: Париж, Москва, Санкт Петербург, Будапеща, Варшава, Прага, Букурещ, Виена, Белград, Анкара, Атина, Делхи, Рим, Лондон, Хавана, Лисабон, Венецуела, САЩ, Токио, Брюксел, Амстердам, Стокхолм, Берлин, Мюнхен, Есен, Хамбург, Мексико, Монреал и др. Индивидуални изложби в България: София, Плевен, Варна, Бургас, Кюстендил, Пловдив, Димитровград, Добрич, Шумен, Сливен, Русе, Балчик и др. Индивидуални изложби в чужбина: Москва, Париж, Мексико, Виена, Варшава, Букурещ, Будапеща, Хамбург, Копенхаген, Франкфурт, Берлин, Манхайм, Брюксел, Холандия, Италия и др. Националната художествена галерия, София, всички художествени галерии и много частни колекции в България; музеи, галерии и частни колекции в Москва (Пушкинския музей), Арт-Център Юго Вутен, Белгия, Музея на град Париж, Лондон, Сан-Франциско, Лос Анджелис, Виена, Мюнхен, Бон, Хамбург, Берлин, Есен, Рим, Холандия, Япония, Швеция, Гърция, Аржентина, Венецуела, Куба, Италия, Португалия, Букурещ, Варшава, Дрезден, Прага, Будапеща, Атина, Брюксел; Колекция Лудвиг – Аахен, Виена, Будапеща, Пекин, Стокхолм и Кобленц и други. От 1998 – член на дружеството на ямболските художници, участва във всички изложби на дружеството в Ямбол, София и Бургас. Понастоящем живее и работи в Ямбол. Негови картини са собственост на частни колекции от България, Германия, САЩ, Франция, Англия, Австрия, Швейцария. Родена на 3 юли 1914 в София. Завършва специалност „Живопис” в Художествената академия в София през 1940 година в класа на проф. Дечко Узунов. Специализира в Париж /1941 г./ в академията на Андре Лот. След завръщането й в България през 1941г. следват множество изложби в София и чужбина – Хамбург / 1960г./, Япония /1965г./, Австрия – Витгенщайн, Париж /1978г./, София / Шипка 6 – 1983, 1989г., 1997г., 2010г./ и др. През 1994г. организира самостоятелна изложба в „SITE DES ARTES INTERNATIONALES”- Париж. От 1954 до 1969 година тя е художествен редактор в издателство „Народна Просвета”. Носителка на награда „Кирил и Методи” I степен, както и на „Златен век” за принос в развитието на българската култура. Има награда от фондацията „Европейски форум”, награда за цялостно творчество от СБХ, първа награда от световната Хайку асоциация – Япония, награда за принос в развитието на българската култура. Умира 2012 година в София. Роден през 1940г. в град Димотика, Гърция. 1965г. завършва Художествената академия в София, специалност „Живопис” при проф. Илия Петров. 1964 г. прави съвместна изложба с Димитър Казаков-Нерон в Академията, но три дни след откриването експозицията е свалена по решение на академичния съвет. Въпреки съпротивата срещу реформаторското изкуство на Гарудис и Нерон, на следващата година двамата са приети възторжено като членове на СБХ. 1971 г. Гарудис организира самостоятелни изложби в София и Париж. Ранното творчество на Гарудис е свързано основно със живописта – създава натюрморти, морски пейзажи, фигурални композиции с поетични и философски послания. По-късно започва да работи в областта на монументалната пластика и керамиката. Следват десетки изложби в Атина, Солун, Виена, Люксембург, Кан, Мадрид и др. Носител е на Първа награда на изложбата „Приятели на морето“ и „Созопол и морето“. От 1986 година живее и работи в Солун. 1953 Роден в с. Ресен, Великотърновско. 1972 Завършва Художествена гимназия, София. 1978 Завършва специалност „Живопис“ в НХА София. 1982 Стипендиант на Френското правителство, Париж. Самостоятелни изложби: 1978 – 2016 Повече от 100 самостоятелни изложби в България, Полша, Чехия, Словакия, Русия, Австрия, Швейцария, Люксембург, Холандия, Швеция, Германия и Франция. Повече от 150 участия в групови изложби и биеналета на графиката, рисунката и живописта в България, САЩ, Мексико, Венецуела, Бразилия, Япония, Малайзия, Дания, Норвегия, Швеция, Финландия, Белгия, Холандия, Германия, Франция, Испания, Италия, Швейцария, Чешка република, Словакия, Унгария, Полша, Русия, бивша Югославия. Награди за живопис и графика от България, Словакия, бивша Югославия, Полша, Франция, Русия, Япония, САЩ. Творби, притежание на Конгресна библиотека – Вашингтон, САЩ; Музей на изкуствата – Портланд, Орегон, САЩ; Национална библиотека – Париж, Франция; Галерия на префектура Канагава, Япония; Музей за съвременно изкуство – Шчечин, Полша; Музей Нелимаркка – Алаярви, Финландия; Национална художествена галерия – Прага, Чешка република; колекция Петер Лудвиг – Будапеща, Унгария; колекция Юго Вутен, Белгия; колекция Светлин Русев – София, Плевен; Национална художествена галерия – София и др. Творбите на Маргарита Пуева са изложени в Националната галерия в София, Музея „Пушкин“ в Москва, Галерията за изящни изкуства в Дрезден, както и в музеи в София, Пловдив, Плевен, Стара Загора, Габрово Силистра, Смолян, Кърджали, Перник, Благоевград, Добрич, Варна, Шумен, Разград, В. Търново, Кюстендил и частни колекции в Белгия, Германия, Китай, Франс, Великобритания, Хонконг, Италия, Израел, Япония, Кувейт, Холандия, Русия, Унгария , САЩ, Ватикана и Венецуела. Досега Маргарита Пуева е участвала в над 58 самостоятелни изложби и 76 групови изложби в България, Германия, Китай, Франция, Великобритания, Италия, Русия, Испания, Сирия, САЩ, Холандия и др. След 1999 г. работи и живее в Дюселдорф, Германия. От 2008 година работи и живее в Холандия, Хага. Умира през 2016 г. в Дюселдорф. Роден на 18 октомври 1957 год. в с. Обретеник окръг Русенски. Завършва пластични изкуства в град Русе през 1974г. Частен ученик на русенския художник Кирил Станчев. От 1979 г. взема дейно участие в художествения живот на град Русе и става член на Русенската група на художниците. До заминаването си в Холандия взема участие в множество национални и международни пленери. Активно участва в редица Национални изложби. От 1990 г. живее и работи на свободна практика в гр.Хага, Холандия. От 1991 година членува в професионалната група на Хагските художници. Активно участва в изложбите – организирани в различни галерии в Хага и цяла Холандия. Картините му поемат пътя към различните салони на Белгия,Испания,Франция,Германия,Япония,САЩ, Италия,Канада и Норвегия и др. През 1995 г. е приет в престижния форум,, Пулхри- Студио” в Хага. Участва като почетен участник в множество благотворителни търгове за подпомагане на бедстващи народи и деца по света. Взема и участие в редица Арт- форуми в различни европейски държави. Отзовава се на художествени изяви- инициирани от Българското посолство в Холандия. На тези инициативи популяризиращи Българското изкуство е в компанията на изявени автори у нас и чужбина. Знаков момент е срещата му със скулптора Маргарита Пуева в Дюселдорф, през 2007 год, от тогава тръгва началото на съвместният им житейски и творчески път като тандема ,,Пуева-Кънев” Тази среща бележи началото на низ от съвместни творчески изяви в цяла Европа на редица международни форуми. Една от най-значимите изяви на тези двама творци е изложбата “Диалог” по любезната покана на Галерия Арте, София. Роден е на 31 август 1937 година в с. Ракитово. През 1962 завършва Художествената академия, специалност „Декоративно-монументална скулптура“ в класа на проф. Любомир Далчев. От 1969 до 1994 година последователно е преподавател, доцент и професор към катедра „Рисуване и моделиране“ в Архитектурния факултет на УАСГ София. От 1994 е професор в катедра „Скулптура“ на Националната художествена академия. Автор и съавтор е на мемориалните комплекси „Асеневци“ във Велико Търново (1985), „Бранителите на Стара Загора“ (1977), „Създателите на българската държава“ в Шумен (1981); монументите „Камбаните/Знаме на мира“, София (1978), Часовниковата кула в Хасково (1983), Софроний Врачански във Враца (1988), Разпятие в Кюстендил“ (1993), Орфей в Кърджали (2006) и други, които са пример за успешно постигнат синтез между изкуство и архитектура. Реализира много самостоятелни изложби и скулптурни ансамбли у нас и в чужбина. През 2016 година получава орден „Стара планина“ I степен, през 2009 е удостоен с наградата „Паисий Хилендарски“, а през 2008 – с орден „Св. Св. Кирил и Методий“ I степен. През 1992 година Международният биографичен център в Кембридж, Великобритания включва Крум Дамянов в своето издание „Men of achievement“. Американският биографичен институт три пъти го включва в своята енциклопедия „Five hundred leaders of influence“ през годините 1994, 1998 и 2003. Бил е удостояван с Димитровска награда (1978), „Червено знаме на труда“ за цялостна творческа дейност, със званието „Заслужил художник“ (1981), три пъти е носител на наградата на СБХ за скулптура на името на акад. Иван Лазаров (1977, 1981 и 1986). Негови творби са притежание на галерии и частни колекции в Австрия, Белгия, България, Германия, Норвегия, САЩ, Франция, Холандия, Южна Корея. Белгийският колекционер Юго Вутен притежава впечатляваща колекция от негови творби в своя скулптурен парк в Арт център Юго Вутен, Белгия. Участия в групови изложби: Лондон, Виена, Москва, Париж, Варшава, Токио, Брюксел, Мексико сити, Берлин, Букурещ, Рим, Кьолн, Анкара, Аахен. Националната художествена галерия, Софийска градска галерия, повечето художествени галерии в страната и частни галерии у нас и в чужбина, между които колекциите на проф. доктор Петер Лудвиг / Германия/, на г-н Юго Вутен /Белгия/, на акад. Светлин Русев София и Плевен/ и др. Роден на 3 май 1934 г. в гр.Пловдив, България. От ученически години до края на живота си се занимава активно с живопис. Има 30 самостоятелни изложби в България и в други държави, както и многобройни участия в общи национални изложби. Негови платна са собственост на Националната художествена галерия, Софийската и други градски галерии, както и на частни колекции у нас, Италия, Германия, Англия, Норвегия, САЩ, Гърция, Турция, Франция, Швейцария, Мексико, Израел, Малта и др. Прави сценография и костюми в театъра и киното, за което е получавал национални награди. 1956 г. завършва Театралната академия в София, отдел актьорско майсторство. Има повече от 40 главни роли в театъра и киното. Като режисьор и художник е създал 12 анимационни филма, а като режисьор в игралното кино е направил 20 игрални филма. Повечето от анимационните и игралните му филми са носители на престижни международни награди. Някои от игралните му филми са любими на българските зрители. Роден на 26.06.1935г. в гр. София. Живее в Париж от 1991г. Работи като театрален художник в София (1954 – 1959). Участва във всички ОХИ, както и в изложби на българското изкуство в чужбина. Взема участие в: Биенале на живописта в Кан сюр Мер, Франция (1978, 1981), Международния панаир на изкуствата в Базел (1978,1988), Международния панаир на изкуствата в Ню Йорк (1980), в „Есенен салон“ в Париж (1979,1987). Урежда самостоятелни изложби в: София (1965,1966,1971,1975,1976,1985,1995), Пловдив (1973,1977), Варна (1977), Сливен (1983), Добрич (1989), както и в: Берлин (1972,1973), Варшава (1977), Мадрид (1979), Прага (1981), Париж (1984,1992,1993,1994), Лимасол (1986), САЩ (1988), Белгия (1989), Люксембург и Австрия (1990). Голяма част от последните изяви на Емил Стойчев в България са свързани с дейността на галерия ,,Кавалет“, Варна. Негови творби са притежание на: НХГ, СГХГ, ХГ в: Благоевград, Варна, Русе, Сливен, Добрич, Бургас, както и национални галерии в: Букурещ, Прага и частни колекции в Европа, Америка и Япония. Награди: Наградата на София (1967), Наградата на СБХ „Владимир Димитров – Майстора“ (1979,1985), Награда от Биеналето в Кан сюр Мер (1981), Голямата награда на VI биенале в Шчечин, Полша (1975) и на Гр. съвет в Родом, Полша (1987). Той е единственият наш автор, който представя Източна Европа в каталога на аукционна къща “Друо. Творческата му биография започва някъде през 60-те години, когато първата му изложба е свалена. Тогава Богомил Райнов купува почти цялата експозиция. Още през 70-те години Емил Стойчев се намесва в художествения живот в Париж. Периодичните му изложби в различни галерии все повече карат да се говори за него. В началото на 90-те години Жак Ширак, тогава кмет на Париж, го кани да направи изложба в двореца Багател и я открива лично. И досега Емил Стойчев е единственият източноевропейски автор, имал честта да покаже изкуството си там. 1975 – НХА – София, специалност Скулптура. Професор по скулптура от 1992 г. 2005 – “Импресия”, Пловдив; Галерия “Пролет”, Бургас; Галерия 8, Варна. 1981 – 2000, три изложби съвместно с Ангел Станев, представени в София, Силистра, Перник, Добрич. С Ангел Станев и Ванко Урумов – София. Със Станислав Памукчиев – София. 1977 – Бургас – мрамор; 1985 – Линдабрун, Австрия – камък; 1991 – Линдабрун, Авсрия -желязо, камък; 1992 – Катцов,Германия – дърво и желязо; 1995 – Наготане, Индия – зелен гранит; 1996 – Koве, Япония – гранит и желязо; 1998 – Сепре, Швейцария – желязо и камък; 1998, 2003 – Илинденци, България – камък и желязо; 1999 – Смолян, България – желязо и камък; 1999 – Перник, България – желязо и камък; 2003 – Банско, България – гранит; 2005 – Павликени, България – дърво и желязо; 2005 – Червен бряг, България – керамика. 2000 – София – Парк “Оборище” – гранит и желязо. Две участия в Базел, Швейцария. Две участия в Познан, Полша. 1988 – Сеул, Корея – две гранитни фигури в Олимпийския парк. Композиция пред Националния стадион в София. Портретна фигура на Илия Бешков в Плевен. Бюст на Златю Бояджиев в Пловдив. Бюст на Кирил Петров в Монтана. Бюст на Г.М. Димитров в София. Бронзова композиция в колектив с Ангел Станев за НДК. Бронзова композиция в колектив с Георги Чапкънов за Силистра. Негови произведения са собственост на НХГ, СГХГ, провинциални художествени галерии, Пушкин музей – Москва, Националните музеи на Варшава и Прага, музей Данте – Равена, музей Мост – Норвегия, колекцията на Петер Лудвиг в Аахен, Германия и на Хуго Вутен, Белгия. Олимпиада на изкуствата в Сеул – 1988 г.
Българска енциклопедия за изобразително изкуство, международни симпозиуми в Линдабрун (Австрия), Катцов (Германия), Кобе (Япония), Наготане (Индия), Илинденци (България), Колекция Петер Лудвиг (Германия) и др. Завършва Националната художествена академия, специалност „Живопис“, при академик Светлин Русев. Самостоятелни изложби – над 45 у нас и в чужбина: София, Пловдив, Варна, Смолян, Бургас, Пазарджик, Париж (Франция), Франкфурт и Хамбург (Германия); Виена (Австрия), Скопие и Щип (Македония); Коккола и Канус (Финландия); Сиан и Ханджоу (Китай). Роден на 21 март 1949 г. в София. 1969 – завършва Художествената гимназия – София. 1974 – завършва Художествената академия, специалност Графичен дизайн при проф.Александър Поплилов. Председател на УС на ФРГО. Член на УС на Съюза на българските художници /СБХ/. Работи в областите: графичен дизайн, пространствен дизайн, илюстрация, стенопис, живопис. Почти 200 участия в групови и индивидуални изложби (приложна графика, приложни изкуства, художествено-пространствено оформление на книгата, карикатура, градската архитектурна среда) в българия и в чужбина. Носител на награди от Куба, СССР, Италия, Белгия и др. Роден във Варна на 30 октомври 1949г. Завършил университета „Св.Св. Кирил и Методий“ във Велико Търново през 1975г. Художник с над 100 самостоятелни изложби в България, Германия, Швейцария, Франция, Холандия, Швеция, Чехия, Португалия, Япония, САЩ, Австралия, Русия, Дания, Бразилия, Куба, Чили. След 2008 – Различни изложби в Швейцария, Германия, България и др. Частни колекции в България, САЩ, Норвегия, Швейцария, Аржентина, Франция, Германия, Полша, Мексико, Италия, Канада, Швеция, Япония, Холандия и др. Завършил Националната художествена академия, специалност „живопис” през 1978 г.
Картини на автора са собственост на Националната художествена галерия, Софийска градска галерия и на почти всички градски галерии в страната. Негови картини притежават Петер Лудвиг – Германия, Хервиг Хадвингер – Австрия, Клаус Хорнефер – Германия, Ролф Аппел – Германия, Светлин Русев, Боян Радев, Емил Вичев, Януш Донев, Никифор Никифоров, Христо Христосков и други. Творбите му присъстват в частни колекции в САЩ, Япония, Швейцария, Холандия, Франция, Белгия, Швеция, Канада, Аржентина, Венецуела, Саудитска Арабия, Кувейт, Китай, Индия и др. От 1979 г. до 1990 г. авторът е участвал в почти всички национални и общи художествени изложби в страната и много представителни изложби в чужбина. Родена на 16.10.1926 г. във Велинград. През 1950 г. завършва живопис в Художествената академия в София при проф. Илия Петров. Работи в областта на живопистта и приложната графика (оформяне на книги, пощенски марки). Роден на 14 декември 1951 г. в Димитровград. 1978 г. завършва Художествената академия, специалност „Скулптура” при проф. Д. Даскалов. 1985-а заминава за Франция след конкурс за „Сите дез-ар” в Париж. Показва творбите си в повече от 45 самостоятелни изложби в Базел, Париж, Варшава, Краков, Лондон, Делхи, Москва, Ереван, Истанбул, Амстердам, Токио, Анкара, Сапоро, Виена, Измир, Сеул, Берлин, Вашингтон, Претория, Йоханесбург, Белград, Довил, Палма де Майорка, Хеерде (Холандия), Бон и др. Само в Париж престижни галерии са организирали осем пъти негови самостоятелни изяви. Златен медал на Ватикана на името на Данте Алигиери ’81 г.
Наградата на асоциация „Арт диалог” за най-добър чужд автор за 1989-1996 г.
Носител на орден „Стара планина” I-ва степен и орден „Кирил и Методий”. 2009 г. в Москва в театъра „Етсетера” Вежди Рашидов получи Голямата награда в областта на скулптурата „ВЕРА” на Третия московски международен фестивал на изкуствата „Традиции и съвременност”. На тържествена церемония в Москва на 6 март 2010 г. Вежди Рашидов бе удостоен със званието академик на Международната академия за изкуство и култура за цялостното си творчество. 2012 г. в Ереван Армения, Вежди Рашидов получи най-високото отличие – Златен медал за изключителен принос в културата. От 2009 г.- до 2013г. Вежди Рашидов е министър на културата на Република България. Участва във всички общи художествени изложби у нас. Участва в представителни изложби в Париж, Пекин, Будапеща, Берлин, Букурещ, Ню Йорк, Барселона, Токио, Потсдам и др. Групови изложби – България, Делхи, Потсдам, Рига, Париж, Ню Йорк и др. Международни изложби – Виши, Кьолн, Париж, Базел и др. Нейни картини са притежание на Национална Художествена Галерия, Софийска Градска Художествена Галерия, редица общински галерии, държавни учреждения в страната и български посолства в чужбина. Награди от община Русе при участия в изложби на дружеството на Русенските художници – членове на СБХ. Включена е в голямата българска енциклопедия за българското изкуство – БАН. Включена в албума „Млади български художници“ – СБХ. Включена в книгата „Съвременно българско изобразително изкуство“ – БАН. Включена в книгата „120 години българско изкуство“ – СБХ. Галерия „Александър“, София (1993 г.). Изложба по проект на СБХ „Идея за дом“ – тема „Вода и светлина“ СБХ 2012 г.
Изложба „Награди за съвременно българско изкуство М-Тел, Пловдив – Тютюневи складове 2007 г.
НХГ – София; СГХГ; Художествена галерия – Велико Търново; Художествена галерия – Сливен; Художествена галеря – Русе; Колекция „Юго Вутен“ – Белгия; Галерия “Xan-Tinne” Белгия; Колекция „д-р Бекария“ Барселона, Испания; Градски музей Висбаден – Германия. Награда на СБХ на името на Иван Лазаров за монументална скулптура (1978 г.
Български художник – живописец, стенописец и реставратор с научно звание Доцент във“ВИИИ Николай Павлович“ в София, технолог по живопис, стенопис и реставрация. Автор е както на забележителни стенописни и живописни произведения, така и на множество публикации за нашето изкуство от епохата на Възражденето. Изнася лекции и популяризира нашите традиции в старата и византийската живопис по целия свят. Атанас Василев Шаренков е роден 21 ноември 1943 в Асеновград. През 1969 завършва живопис в Художествената академия „Иля Е. Репин“ в Санкт Петербург при проф. Й. Серебряний и 3 години реставрация и консервация в Ермитажа под ръководството на С. Ф. Коньонков. Атанас Шаренков е първият българин, получил диплом за реставрация в Русия. Специализира технология и техника на живописта и стенописта при проф. М. Девятов. През своя творчески път в тази област е реставрирал стотици икони, картини и стенописи. От 1969 до 1976г. работи като реставратор на Българската патриаршия в Централния църковен историко-археологически музей, София . От 1973г. е поканен във ВИИИ“Николай Палович“като хоноруван асистент да преподава лекции по технология и техника на живописта и стенописта,за което съставя пълна програма за обучение на студентите по живопис,стенопис и реставрация.От 1979 е Старши преподавател,през 1983г. защитава дисертационен труд на тема „Технология и техника на възрожденската икона през 19в.“,заради което му е присъдено званието „Кандидат на изкуствознанието“,а от 1991 е Доцент по технология и техника на живописта и стенописта в Художествената академия, София. От 1976г. е член на Съюза на българските художници,участва в много ОХИ-та на СБХ, международни и специализирани изложби. Прави самостоятелни изложби в Хасково (1986), Мюнхен (1992). Реализира монументално- декоративни творби в София, Стара Загора, Хасково, Първомай и др. Реставрирал стотици икони и картини от музейни сбирки и частни колекции в страната, стенописи и възрожденски сгради. 1988 и 1989г. реставрация на стенописите на къщата на Георгиади в Пловдив с колектив, 1985г реставрация на Хаджиангеловата къща в Хасково, 1981-1982г. реставрация на стенописите в Ески джамия, Ямбол), 1989г. реставрация на къщата на Куюмджиоглу в Пловдив с колектив и др. От 1990г. изнася лекции по технология на живописта и стенописта във факултета по изобразително изкуство в университета „Св. св. Кирил и Методий“, В. Търново; от 1980 в Културния център гр. Герас, Австрия. Работи в областта и изследването на технологията на живописта и стенописта както в България, така и в чужбина. Автор е на поредица публикации върху технологията и техниката на Възрожденската иконопис и стенопис, от които по-важни са: „Техника и технология на българската иконопис през XIX в.“ – Изкуство, 1981, „Технология и техника на рисунката на възрожденските зографи“. – Изкуство, 1981/5, „Пигменти и багрила във възрожденската иконопис от края на ХVІІІ и XIX в.“ – Изкуство, 1982/10. Автор е на книгите „Старинни трактати по технология и техника на живописта“ (оригинални писмени източници по технология и техника на живописта от 1ви век пр. Христа издателство“Български художник“)-1988г., „Технология и техника на възрожденската живопис. Възрожденската икона“-издателство „Наука и изкуство“, „1987г.“Паметници на културата на Света гора Атон“ ( в съавтор с Любомир Прашков) издателство „Български художник“.1989г.-“Художниците Димитър Иванов-Лицо и Петър Толчев“в съавторство с Ат.Тилев, издателство в Хасково. 1976г. изпълнява стенопис в училище „К.Запрянов в гр.Първомай с колектив1978г. стенопис в Младежки дом „Л.Карастоянова“ в София с колектив. 1971г. стенописи в храм „Св.Троица“ в Козлодуй, 1980г-Триптих „Семейството и децата „ в Ритуална зала в Хасково, 1983г. Стенопис „Съвременно строителство“ в Дом на строителя в Ст.Загора. 1987г.-„Фармацията и нейната история“ в Аптечно предприятие в гр.Хасково. Негови творби на живописта, акварела и рисунката са притежание на НХГ, СГХГ, много музеи , галерии и частни сбирки в страната и чужбина. Починал на 26 юли 1992 в гр. Беретойфалу – Унгария. Роден на 24 юли 1964 г. в София. 2010 – „Хр. Г. Данов“ – най-добре илюстрирана книга за 2010 г. за Алиса в страната на чудесата.